The new Buckland Hospital in Dover is part of the East Kent Hospitals University NHS Foundation Trust’s vision to provide safe, patient focussed health services. 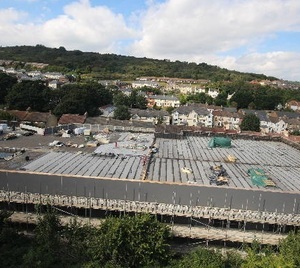 The new Buckland Hospital in Dover is part of the East Kent Hospitals University NHS Foundation Trust’s vision to provide safe, patient focussed and sustainable health services for the people of Kent. The Trust is one of the largest in England, serving a local population around 759,000 people. Fixmart are proud to be working with several Ductwork, Electrical and Mechanical contractors to help deliver this important £24m project on time. The new hospital will care for up to 60,000 patients, based around a new one-stop clinic model, ensuring patients will have their consultation, diagnostic investigations, treatment and any pre-assessment during one visit.